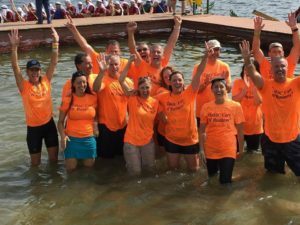 Dragon on the Lake is an end of summer celebration in Lake Orion and the surrounding community. It’s a fun and exciting weekend that attracts thousands of attendees and participants from all over metro Detroit and Canada. All sponsorship dollars go directly to underwrite the event and to support the Orion Art Center, a 501(c)3 nonprofit arts organization. Call us at (248) 693-4986 for more information or click the button below for sponsorship levels.